The October Horrorshow rolls on here at Missile Test, when we devote the entire month of October to watching and reviewing horror films. The good, the bad, and the putrid all have a viewing. With this review we wrap up the run of zombie films made by George A. Romero. Sure, we’ve been reviewing them out of order, but it doesn’t really matter. 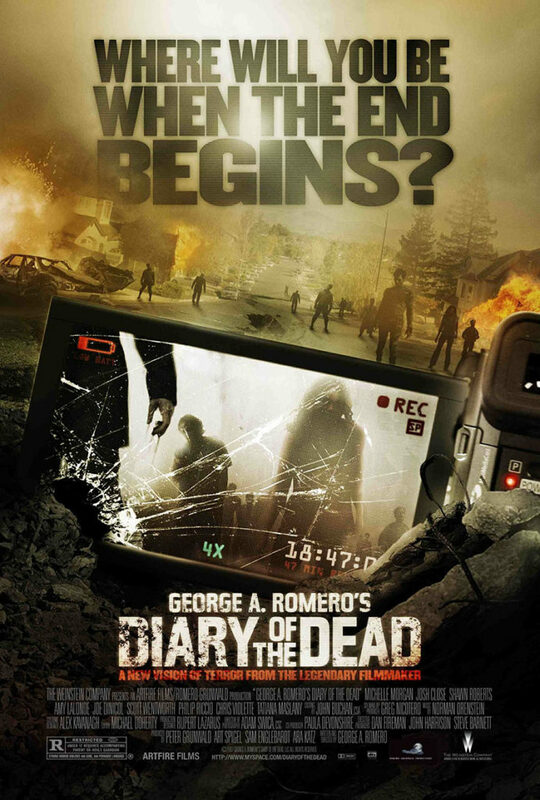 Diary of the Dead, from 2007, is Romero’s followup to Land of the Dead. For whatever reason, Romero regressed when it came to his budget with this film. Land of the Dead wasn’t exactly a blockbuster production, but it did recoup its $15 million budget three times over, yet Diary of the Dead was made with the paltry amount of $2 million. A cut in resources like this isn’t normally made by choice, but Romero did decide to make this an experimental film of sorts, so maybe it was on purpose.